While addressing a rally in north Delhi's Timarpur, Arvind Kejriwal slammed the BJP and Congress for failing to fulfill promise of full statehood for Delhi. Delhi’s ruling Aam Aadmi Party (AAP) launched its Lok Sabha election campaign on Saturday with multiple rallies across the city. Different AAP leaders, including Chief Minister Arvind Kejriwal, sought votes in the name of full statehood while attacking the Bharatiya Janata Party for not fulfilling its promises and “torturing” the ruling AAP. Addressing a rally in north Delhi’s Timarpur, Kejriwal asked the people to not vote for the BJP or Congress as “they failed to fulfill their promise of full statehood”. He said people should vote for the AAP, as it is serving the people and will continue doing that. His deputy Manish Sisodia also held rallies in several places, including Kasturba Nagar in New Delhi Lok Sabha constituency and asked people to vote for his party as the BJP MPs had not done anything for the city in the past four years. A roadshow, spearheaded by AAP leader Gopal Rai, passed through 10 Assembly constituencies in west Delhi, including Dwarka, Nawada, Uttam Nagar and Tilak Nagar, before concluding at Rajouri Garden. Rai addressed people at various locations and sought votes for party’s candidate Balbir Singh Jakhar. Jakhar also addressed the people. Rai cited the “dual standards” of the Congress and the BJP. 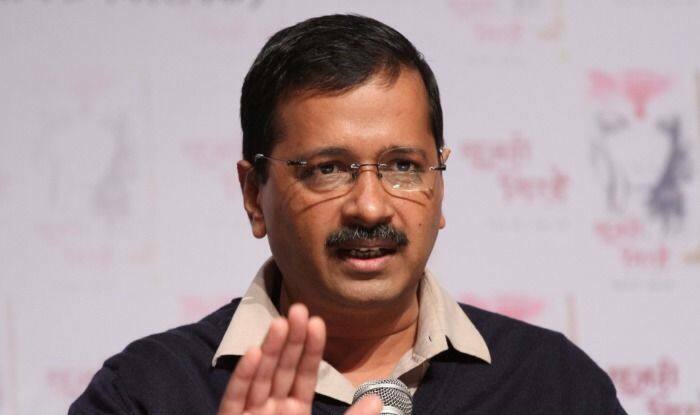 “They promised statehood to Delhi, only to forget later,” he said, adding the seven AAP candidates will rake up the issue during campaign and later take the issue of full statehood to Parliament. Jakhar said he would demand full statehood for Delhi in the Lok Sabha. “My focus will be on full statehood and the issues related to the common man,” he said.